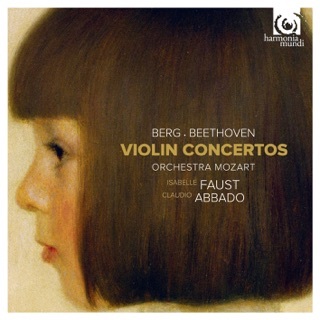 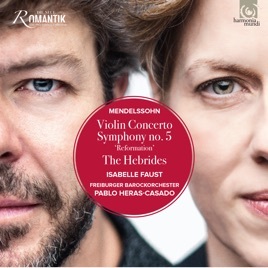 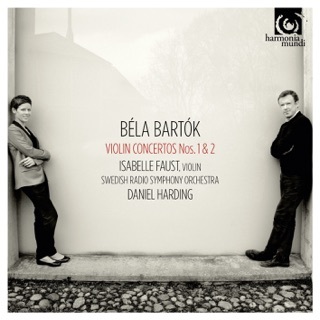 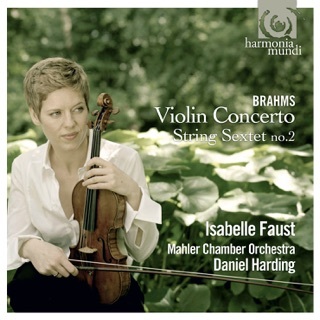 This installment in Heras-Casado’s invigorating Mendelssohn symphony cycle from Freiburger comes with a magnificent “extra”—Isabelle Faust, one of the most individual and inspiring violinists of the day, plays the Violin Concerto as if it were newly minted. 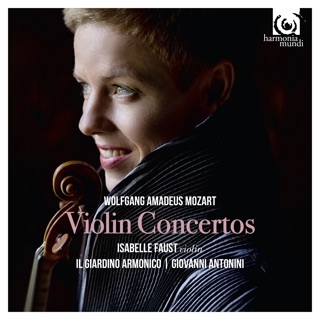 She hones in on the work’s freshness and originality, and the performance sparkles and sings with the joy of youth. 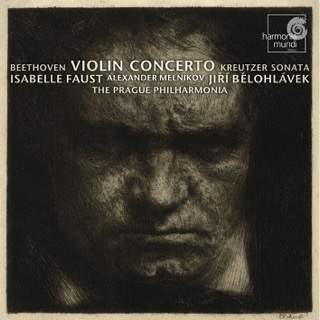 Alongside it, Mendelssohn’s Reformation Symphony (No. 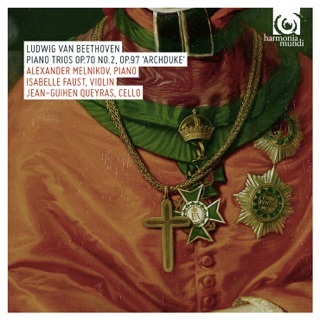 5) glows with autumnal colors, but its originality, too, is wonderfully conveyed.